Diabetes is a disease that affects approximately 347 million people worldwide. The American Diabetes Association reports 29.1 million people in the United States (9.3%) have diabetes (most being Type 2),86 million have prediabetes, and an estimated 8.1 million people remain undiagnosed. In efforts to diagnose and treat Type 2 diabetes effectively, it is important to understand your risk and be proactive. If you are someone who is already dealing with diabetes daily, it is extremely important that you understand how to manage it because you are the most vital participant on your health care team. Aim to give your physician as much descriptive information as possible, and don’t be shy about asking questions either. 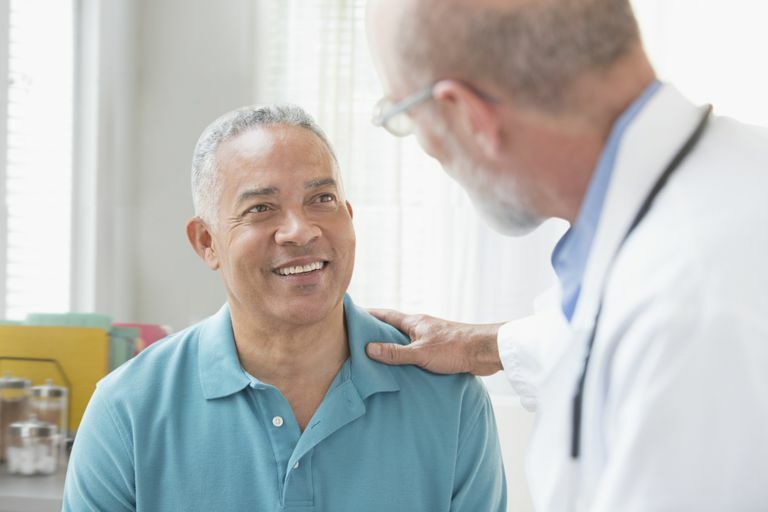 In fact, asking questions is what often leads physicians to a diagnosis and assists them in creating an individualized treatment plan. Too often, Type 2 diabetes is left untreated or is managed poorly without you even knowing it. Being a knowledgeable patient can be easy if you know what you’re looking for. If your doctor says, “You have some sugar, but don’t worry,” don’t settle for that answer. Ask them to elaborate. Diabetes can be prevented if caught early. If you have a family history of Type 2 diabetes, are over the age of 40, are obese or have other health conditions such as heart disease, your doctor will likely run a test called a Hemoglobin A1C. This is a blood test that is used to interpret how your body is utilizing sugar. The results can be used to measure diabetes care as well diagnose diabetes. Over the course of three months, sugar or glucose attaches itself to red blood cells and then those cells die. The A1C shows us a three-month average of your sugars. If your A1C reflects the prediabetes range (5.7-6.4%), you can prevent or prolong diabetes with diet, exercise, and weight loss. This can be critical for you to know. If you are someone with diabetes, you too want to know your A1C because it will show you, on average, where your sugars are ranging 24 hours a day over a few months. Studies have shown that people with diabetes are less likely to develop microvascular complications of the eyes and kidneys if they keep they their blood glucose levels controlled. The American Diabetes Association recommends that you aim to achieve an A1C less than 7%, while the American Association of Clinical Endocrinologists suggests 6.5% or lower. I see it over and over – patients have a list of medicines and are unsure what they do and how they work. This can be problematic because if medications are not taken correctly, they are less effective. If you are taking medication, ask to be educated. You want to know what medicines you are taking, how you’re supposed to take them and what they do. For example, if you are using a medicine such as a sulfonylurea (a class of diabetes medicines that tells your pancreas to make insulin) and take it without food, skip or delay a meal, your blood sugar can drop or go low. It may take some time to figure out what the best medical regimen is for you, but that is ok. Don’t hesitate to ask your doctor or Certified Diabetes Educator to explain your medicines to you. Managing your appointments can be overwhelming, but if you are a person with diabetes, there are certain types of medical professionals that are important to have in your network. For example, everyone diagnosed with diabetes above age thirty should have a​ dilated eye exam by an ophthalmologist once per year. A registered dietitian, RD, can help you create a meal plan that works for your needs. Other professionals you may need to see include podiatrist, cardiologist, endocrinologist, or vascular doctor. Address your physician if you are having any issues or need help finding a specialist. If you are feeling discomfort or pain, try not to put off symptoms. It’s important to listen to your body so that you can take necessary measures to prevent any major issues. Diabetes is a manageable disease, but if you neglect symptoms for too long complications can arise. Notice a cut that isn't healing, are having leg pain or are waking up in the middle of night to urinate, get evaluated by your physician. American Diabetes Association. A1C test. Available at: http://www.diabetes.org/living-with-diabetes/treatment-and-care/blood-glucose-control/a1c/. Katznelson L, Atkinson JLD, Cook DM, Ezzat SZ, Hamrahian AH, Miller KK. American Association of Clinical Endocrinologists medical guidelines for clinical practice for the diagnosis and treatment of acromegaly—2011 update. Endocrine Practice. 2011;17(4). Available at:https://www.aace.com/sites/default/files/AcromegalyGuidelines.pdf. National Diabetes Information Clearinghouse. DCCT and EDIC: The Diabetes Control and Complications Trial and Follow up Study. Available at:http://diabetes.niddk.nih.gov/dm/pubs/control/#DCCT.